FREE pair of tickets to the London Homebuilding & Renovating Show this September for EVERY reader - worth £36! I am a big homebody type person, as much as I do love to explore and enjoy days out, and our home really is our castle, however humble. I have loved interior design for as long as I can remember and seek inspiration from magazines, Instagram and also home related shows - I just can't get enough of decor! That's why I am really excited to share this special offer with you... as all To Become Mum Readers can claim a pair of free tickets to attend the London Homebuilding & Renovating Show (21 - 23 September 2018, ExCeL, London) - worth £36! Across three packed days, visitors to the show can speak to over 500 exhibitors and access free advice sessions, seminars and masterclasses on essential topics which can tackle any problem, from implementing the latest intelligent security systems to funding a remodelling project. And thanks to the team and this little blog of mine, YOU could be going with your DIY mad hubby or interiors buff buddy for free. I've included all you need to know about the show below, and you can also follow this link for more details. Just keep scrolling for my exclusive free ticket link to claim. And be sure to tell your friends too, there's really no catch - just free tickets to the show for everyone who stops by this post! According to the UK Land Registry, most of all the publicly owned land available for new homes will be registered by 2020 to boost housing development. To help equip and upskill consumers intent on taking matters into their own hands when it comes to creating their dream home, The London Homebuilding & Renovating Show is returning to ExCeL between 21 - 23 September. The event, which will be sponsored this year for the first time by Checkatrade, a directory of recommended and trusted tradesmen, will provide practical help and advice to those who want to progress with their property ventures. 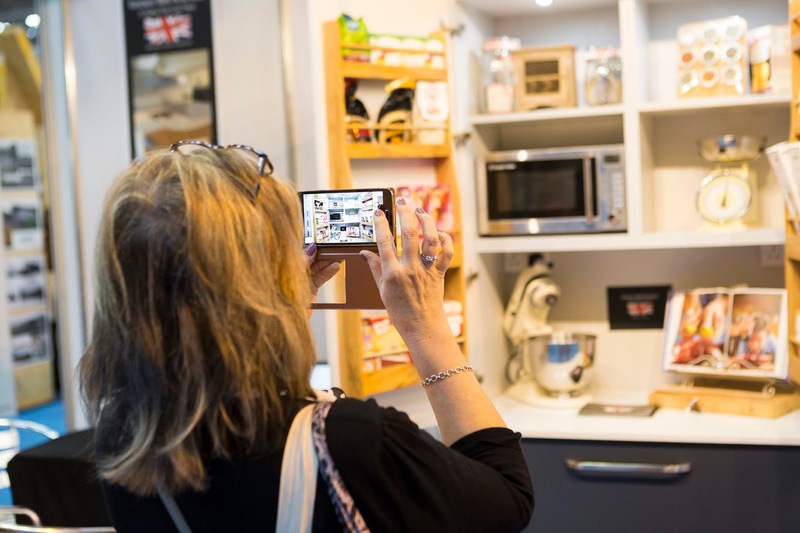 The show, which will also be sponsored by Nethouseprices, a platform that provides free access to the latest house prices for England and Wales, will offer self-builders and renovators the chance to discover innovative products from over 360 specialist brands that will be exhibiting. Visitors will also have access to over 45 free seminars and masterclasses, and 750 plus advice sessions on a wide range of sectors including architecture; kitchens; bathrooms; ventilation; lighting; doors and windows etc. The event will be filled with free advice on any issues a self builder or renovator has, and will host a multitude of resources for every project all under one roof. In addition, real case studies who have gone through the building process will be available to talk to on site, so visitors can discuss similar challenges they’re facing. Consumers can hold 15-minute discussions with celebrity TV property experts on the Saturday of the event. Charlie Luxton, sustainable architectural designer and presenter of Channel 4’s ‘Best Laid Plans’, will be talking about eco living, new architectural ideas and homes of the future. Julia Kendell, interior design expert for BBC’s ‘DIY SOS The Build’ and ITV’s ’60 Minute Makeover’, will be assisting visitors who are looking to transform their houses through stylish and resourceful interior designs. Attendees who would like to discuss their building plans with an array of property experts will benefit from the Ask the Expert area inside the Advice Centre, sponsored by Internorm, Europe's leading window brand. This area will welcome visitors to hold free consultations with eight residential property specialists via interactive sessions. The experts include Michael Holmes (director of content and product development for Homebuilding & Renovating magazine); Jason Orme (editorial director of Homebuilding & Renovating magazine); Bob Branscombe (chartered surveyor and builder); Chris Reeves (legal expert and a chartered builder and lawyer); Mariana Pedroso (interior design expert and architect); Allan Corfield (self-build expert); Sally Tagg (planning expert); Mark Stevenson (managing director at Potton & Kingspan Timber Solutions Ltd). In the Advice Centre, show-goers can also explore the Ask the Builder area and meet members of the Federation of Master Builders. In addition, the Ask the Architect area will be welcoming over 15 experienced architects from the Royal Institute of British Architects (RIBA) to assist consumers in achieving their dream home, maximising their budget and developing solutions to improve their quality of life. Sally Tagg will be on hand at the Planning Clinic to answer visitors’ questions on how to obtain planning permission. Sally’s years of experiences will ensure that the latest tactics to success are shared with the consumers so that they can avoid common mistakes and pitfalls. There will also be live presentations in the Tricks of the Trade section hosted by experienced tradespeople who’ll be laying bare up-to-date information on how to save money on everyday DIY jobs undertaken around the house. The mobile app will provide visitors with a personalised experience, guiding them through their day. This will include information on all the features at the exhibition so that consumers won’t miss a thing. In addition, an interactive timetable will be displaying the times and locations of all seminars and masterclasses, as well as alerting the user on any exclusive offers from exhibitors. To claim your free pair of tickets, courtesy of To Become Mum, visit this specific link: -www.homebuildingshow.co.uk/tobecomemum. Terms & Conditions: Please note that tickets must be redeemed before on 3pm on 20th September 2018. Additional T&Cs apply: www.homebuildingshow.co.uk/terms.